Writing the characters you love to hate. In writing, we authors have a tendency to fall in love with our characters. We see them as real people—at least to us—and get completely attached to them. The heroes and heroines have the characteristics that make people like them and be drawn to them. Most of the time, we make them into the person either we would like to be or that we would like to be with. It is a relationship built entirely by us that we want to share with our readers so they feel the same connection to the characters that we feel. But what about the ‘bad guys’? You know, those characters all of us just love to hate. Honestly, I grow as attached to those characters as I do my heroes and heroines. There is just something about them and writing scenes trying to defeat them that makes them have an element of realness. I write specifically for them to lose but at the same time, part of me feels bad that they are losing. You think, but they have a family we met over here or there is a rough situation they never overcame and they aren’t all bad. Still, they have to lose as a part of the book. If it were just a faceless character to us, we couldn’t put so much into them to make our readers dislike them. Most of the time, the villains of the stories have some redeeming qualities but not enough to make them likable. We see all aspects of their character from their greed or uncaring to their childhood hurts that the other characters can’t see. We know why they are what they are, so if they have an ulterior motive for befriending someone or offering help, we see it and sometimes wish we could yell to the other characters to watch out for them! Sometimes, we writers intentionally leave the reason they have a hurt look in their eyes or a cringe at what someone says for an element of mystery. Maybe we don’t want you feeling too sympathetic toward them or possibly we haven’t worked through the whole of their issues. Even if you don’t know exactly why, you know there is something in their past that makes them not completely bad. You may see them as menacing or just evil except for that little indefinable thing that makes us feel just a bit for them. My favorite villain character to write was Chris Deveraux. He was the son of a really bad man, so right there you see that he didn’t have much of a chance to be a ‘good guy’ because of his upbringing. Then, you add that he had an element of mental issues and you feel bad for him. He is doing all these terrible things and you really dislike him for what he is doing but you also feel bad for him because he didn’t have a lot of choice in what he became because of other circumstance. I have noticed that the more I write about the villain the more I want him to change and be good. I root for him to change his character even though I know he won’t because that isn’t the way I’ll write him to be. It is a bit of a double edged sword getting so close to these types of characters because we know in the end, they won’t change. We just hope we’ve conveyed just the right mix of good and evil in them to make them memorable to our readers. Maybe we will make them be one of those characters they remember as a villain they ‘love to hate’. Author Ashley Dawn was born and raised in rural Arkansas where she developed her love for writing while helping in her parent's office. She graduated with an accounting degree from the University of Central Arkansas but is currently working as a legal assistant. Ashley has been writing professionally for the past seven years and has two published books. 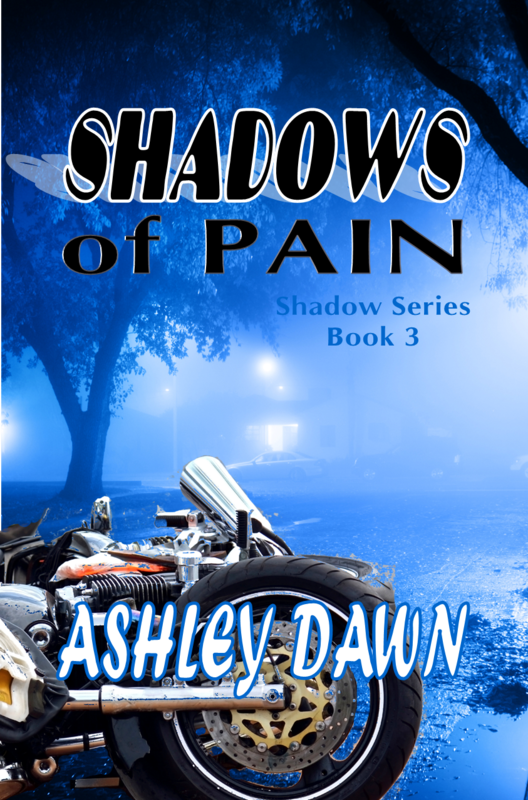 Her first book, Shadows From The Past, was originally published by Tate Publishing and is considered more of a traditionally published book while the second, Shadows of Suspicion, was published by self publication using AuthorHouse. She is currently working on multiple projects including the third in her ‘Shadows’ series entitled Shadows of Pain and also a standalone mystery about a serial killer that remains untitled. 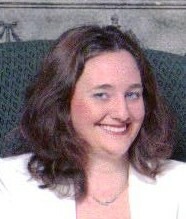 You can find out all about her current books and future releases on her website www.authorashleydawn.com. Ashley also has a review blog to share her love of reading, Ashley’s Bookshelf, where she reads and reviews books of all genres. (http://ashleysbookshelf.blogspot.com) She and her family make their home in Texas. GIVEAWAY: Leave a comment to be entered to win an ecopy of the above book. This contest if open Internationally, don't forget your email address! Thank you for stopping by :) Contest will end Nov 18th. 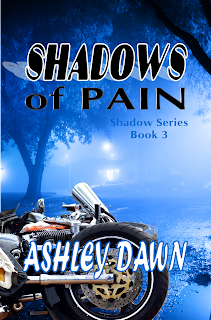 Ashley's books pull you in and grab your attention. They are difficult to put down. I read like it is the air I need. I would love to get my hands on this! Thanks for the lovely post! I love getting to "meet" new to me authors and this book sounds great! Thanks the for the post and the giveaway! !